We are an ambitious service and are very proud of our libraries in Oldham. Our goal is to be amongst the best library services in the country and, of all our recent innovations, building our cultural offer has been at the forefront of our plans. Our libraries have always been a local community hub, providing a gateway to cultural experiences with activities such as author visits, poetry readings and theatre performances. However, when funding was made available through the Arts Council Grants for the Arts Libraries Fund, it provided us with the opportunity to rethink and rebrand our cultural offer – both the programme of activity and the space from which we delivered it. Our response during 2015 was to upgrade the Performance Space in Oldham Library to create the home for a cultural programme: live@thelibrary. The full cost of renovating the space was £134,765, and the grant went towards this. We have found that the Performance Space, with its audience capacity of around 100, is a perfect venue to introduce children and young people to the world of arts and, in particular, the theatre. Companies including the innovative 20 Stories High and the long established Little Angel Theatre, have performed shows that have both captured the imagination and also generated interest for participants to attend future events. 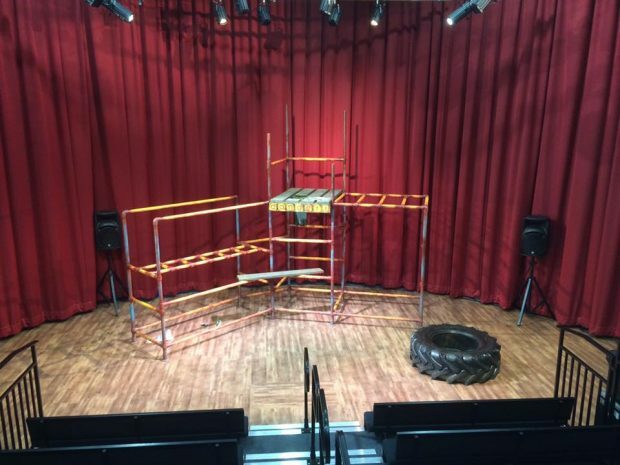 As well as presenting a rich programme of well-known work, we are also developing the Performance Space to become a base for new writing. Emerging artists have been supported through the annual Open Space Festival which is an opportunity for local artists and writers to receive support from professionals and use the library’s facilities for free. In the first 2 years of the programme, 10,000 people have attended approximately 150 events. Besides showcasing a variety of different art forms, we have commissioned work from local writers. 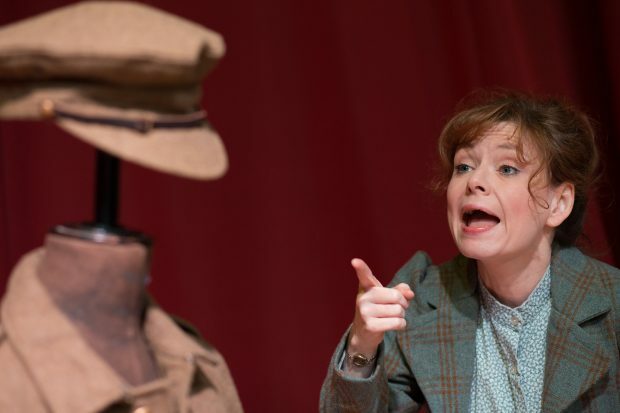 A recent example was the commissioning of a play to highlight the role of women in Oldham during the First World War. Written and directed by actress Joyce Branagh, Boomtown Gals opened at Oldham Library before touring 11 of our community libraries and playing other theatres in Lancashire and Yorkshire. Audience feedback for the show was very positive. Oldham is an area of low arts engagement so it was particularly encouraging that many of those who came to see Boomtown Gals were experiencing live theatre for the first time in their local library. Overall, we estimate that approximately a quarter of all our attendees are attending an arts event for the first time. Also, we estimate we gain approximately 150 new library users a year, as a result of this programme. One of the aims in setting up the live@thelibrary programme was to engage with the wider Oldham community. Going forward, we will be embedding the new SCL cultural offer in our programme and be providing opportunities for our customers to access the live@thelibrary programme in their branch libraries. We are delighted that the Arts Council have supported our vision and look forward to more exciting times ahead for the artists that we work with and the audiences that support our performances. To keep in touch with activities in Oldham libraries, follow us on twitter. UPDATE: The team behind the Big Ideas Generator, a project funded through the Libraries Opportunities for Everyone Fund, chose to launch their project at Oldham library recently. This new initiative run by Greater Manchester libraries aims to help people across the city region launch their own start-up businesses. As part of the launch, Kathy Settle had a tour of Oldham library, including the performance space described above. I saw Richard Hall's name in relation to the 24/7 Festival which seems to have disappeared without trace. Is there still a core of people trying to get this thing running again? Maybe if not in Manchester then perhaps as a new venture elsewhere? David Slack is currently working on developing ideas for future development and can be contacted via the 24/7 website.